what can be. When we wake up to the finiteness of life and are empowered to discover the power, beauty and wonder life has to offer, we find the courage to step out and make a difference not only in our lives, but in the lives of everyone around us. Coach competency training brings your Organization into the 21st Century! I facilitate a Success Unlimited Network® program that trains leaders and teams to learn and apply coaching competencies in the workplace. Integrating a coach approach in your organization can accelerate innovation, creativity, efficiency and effectiveness. By applying a coaching philosophy, managers and executives can contribute to the continual development of people talent in the organization, integrate a focus on key values and priority initiatives, engage in more effective relationships and collaboration through clear, positive communication, and increase accountability. This program is 30-40 hours in length and conducted 1:1 or in groups size 4-30, in person and/or on Zoom video conferencing distance learning. Diane’s presentations about passion, purpose and possibility have delighted audiences at a wide range of organizations and earned rave reviews. Her clients include MetLife, IBM, Morgan Stanley, Coach, Canon, JP Morgan Chase, Sterling National Bank, Columbia University, University of Albany, Westchester Medical Center, United Way. by calling 914-843-4947 or contact here. 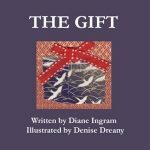 Diane’s presentation gave us a glimpse into the process of integrating our purpose into all the important aspects of a well lived life – career, health, relationships, family, spirituality, and community. What was especially notable was her ability to focus on the audience, engage them, and bring a genuine connection and awareness to them that is unusual in academic presentations. She seemed to walk among us lightly and to lift something out of us that we didn’t know was there. We are grateful for her insights and her work with us. Hi Diane, just a quick thank you for yesterday’s presentation! We received lots of great feedback! We loved how you really tied everyone into group activities and discussion. It is such a sensitive and important subject that everyone opened up to so nicely to. Diane Ingram’s sparkling presentation was enthusiastically received by the Blue Horizons luncheon attendees. Her manner was warm and comfortable, creating an atmosphere which welcomed comments and revelations from the group. The information she shared enabled each of us to take away an idea helpful in living a better life, whether the application was personal or professional. Diane was great and her presentation was too! Diane presented at our first Women’s Entrepreneurial Networking Luncheon. Her presentation was uplifting, positive and left you with the feeling of wanting to take the journey to discover your life purpose. Diane Ingram spoke at a seminar for Joy and Success International. It went extremely well and I was very pleased with her presentation. She was very personable, compassionate and articulated her subject, which was very enjoyable, wonderfully. She interacted with the audience, and was very assessable to them, having them participate if they wanted. I received numerous comments from the audience about how great she was, and I look forward to having her speak at one of my seminars again. — Barbara Mayrsohn , Joy and Success International, Inc.
Diane has led several very interactive workshops at the Pawling Free Library. After each workshop, participants expressed their satisfaction with Diane and her coaching techniques. She makes it easy to understand the steps one needs to make things happen and make changes in your life. She is a dynamic communicator, easy to listen to and a great motivator. Diane’s presentation is clear, well thought out and stimulating. All the participants were engaged and left the presentation feeling inspired. Diane was very professional. I like the fact that she listened to me and then integrated the information I gave her into her presentation to make it specific to our event. The Patterson Rotary Club was very pleased to have Diane show us that there is another side of life. Diane is a gifted communicator. She challenges the audience to re-evaluate their lives, and encourages them to reach beyond to make a lasting difference in life. 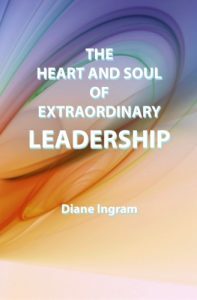 Diane possesses the leadership skills to inspire an audience to think beyond today. Diane’s presentation was empowering. Our students definitely had their eyes opened and focused on their goals and dreams for the future. We will definitely have Diane back at our campus again for another eye opening experience! Diane’s presentation the Association for Promotion of Campus Activities Conference was thought-provoking, inspiring and really engaged the students in a conversation about meaning and purpose as a foundation for decision-making in their lives. I recommend Diane to move your audience toward more self-awareness and better academic and life choices based on who they truly are. We appreciated Diane’s inspirational talk at our Awards Breakfast. It reaffirmed for those who attended how much their efforts on behalf of their community is valued. You were phenomenal! There were several points I learned, but I especially appreciated your comments about the jewel in our hearts, and the importance of meditating upon how that jewel illuminates throughout our lives. I realize that we all have the capacity to shine our gifts in varying ways. Your thoughts also reinforced that we are all connected to one another in some way. What a powerful light we can cast in the world if we use our gifts in service to others. Thank you, again. Diane Ingram presented an engaging, uplifting and inspirational lecture to our guests and residents in our community. Her enthusiasm shined through the entire event. She inspired them to examine and process what brings passion into their lives and that it is “Never to late to live a passionate life”. Everyone truly enjoyed the lecture and we hope to have Diane back soon.